The Tax Cuts and Jobs Acts enacted in December 2017 brought out sweeping changes to tax law. One of the most complicated, yet potentially impactful, changes is the Qualified Business Income Deduction (QBID). In general, the QBID is a 20 percent deduction of qualified business income (QBI) available to taxpayers (individuals, estates, trusts) who own sole proprietorships, S-Corporations and partnerships. It does not apply to C-Corporations, to net capital gains and losses or to guaranteed payments to partners in a partnership (amongst other things). Active or material participation is not considered and the definition of a qualified trade or business is broadly defined. QBI is determined for each trade or business, however, the 20 percent deduction is applied to combined net QBI. If your net QBI results in a loss, the loss is carried forward to future years whereby you must generate enough profit in the future years to generate a positive net QBI before you are eligible to take the 20 percent deduction. While thresholds and phase-out limitations do exist, they do not kick in until $157,000 of taxable income for single filers and $315,000 for joint filers. One such limitation is for qualified service businesses (ex: lawyers, accountants, physicians, etc.) whereby the deduction is phased-out over taxable income of $157,500 to $207,500 for single filers ($315,000 to $415,000 for joint filers). For all other business industries, wage and property limitations exist once taxable income exceeds the thresholds noted above. Are you exhausted yet? Clear as mud? This deduction literally must be determined on a case-by-case basis for each taxpayer. However, let’s try to strip it down and make it manageable. 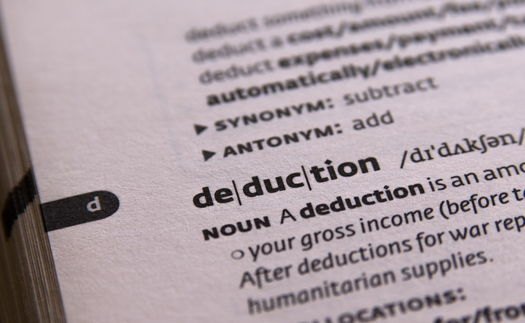 The QBID can prove to be a powerful deduction if careful planning is considered. 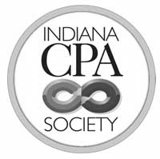 If you own a pass-through entity in 2018, you will need to have your tax services CPA calculate this deduction. As a business owner, your practitioner maintains information on the Schedule K-1s from the business return and will request more detailed information from you regarding things such as salaries and wages and asset listings. How much depreciation should we claim? What salary or wage amounts are appropriate for owners? Should we consider an asset buying program at the end of the year? How can we best balance a 20 percent deduction on income while having multiple tools available to us to minimize or eliminate taxable income? These, amongst other things, are questions to consider with your CPA while you try to navigate this complex deduction.